Bendroflumethiazide can be given to individuals needing treatment to lower their blood pressure (i.e., they have hypertension) or reduce the amount of water in their body (i.e., they have oedema of the heart, liver or kidneys). Can I buy Bendroflumethiazide online? 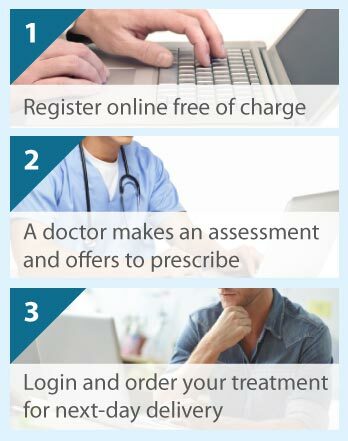 The Online Clinic can prescribe Bendroflumethiazide online in certain circumstances. Please complete a consultation form so that one of our doctors can make an assessment. Bendroflumethiazide is frequently referred to as a water tablet; it is a member of the medicine group termed thiazide diuretics. Bendroflumethiazide acts as a diuretic, meaning it gets rid of excess water in the body by increasing the frequency you pass water (i.e., urinate). It does this by affecting the transport of sodium across the walls of kidney tubules (it stops sodium being reabsorbed into the body). This action increases the amount of sodium eliminated from the body that in turn causes more water to be excreted from the body. The method by which Bendroflumethiazide reduces hypertension is not clearly understood. It is not necessarily because it is a diuretic. It causes blood vessel widening through its actions on the muscles in the blood vessel walls. This action reduces the resistance against which blood has to travel in the blood vessels, and so lowers blood pressure. Bendroflumethiazide is available in 2.5 mg and 5 mg tablets. For oedema, adults and children aged 12 years and older usually start on 5 mg or 10 mg once daily or once every other day, which may then be altered to 2.5 mg to 10mg two- or three-times per week. For hypertension, the dose is usually 2.5 mg to 5 mg once daily. People 65 years of age and over may receive lower doses. Treatment of children younger than 12 years usually starts at 400 μg/kg body weight/day, with a maintenance dose of 50 to 100 μg/kg body weight/day. Bendroflumethiazide tablets are swallowed with a glass of water. It is preferable to take them in the morning otherwise you may have to get up several times in the night to pass water. You must contact a doctor at once if you or a child takes more tablets than prescribed, as this may cause side effects. Take a missed dose when you remember, and then continue to take your next dose at the usual time. Never take more than one dose at any one time. Bendroflumethiazide is not for people with an allergy to thiazides or any of the other products in the tablet (e.g., lactose), or for women who are pregnant or breastfeeding. The state of your kidney and liver function is very important when taking this medicine – if impairment is severe, then do not take it; if impairment is mild or moderate, then consult your doctor before taking it. You may have to have regular tests to check your kidney and liver function. Additionally, do not take Bendroflumethiazide if you have high blood calcium levels, low blood sodium or potassium levels, have ever had gout causing painful joints in your hands or feet, or Addison’s disease (caused by low cortisol and aldosterone hormone levels). You should check with the doctor if these tablets are suitable for you if have diabetes, alcoholic liver disease, systemic lupus erythematosus, or porphyria (an inherited blood disorder). Many medicines may affect the way Bendroflumethiazide works, so let your doctor know all those you take including those you have bought over-the-counter at the chemists. You should particularly mention medicines that are used to treat gout, heart problems, high blood pressure, fungal infections, cancer, mental health problems, epilepsy, breathing problems, Raynaud’s syndrome, and ulcers; used to lower blood cholesterol levels or regulate blood sugar levels; and medicines that are classified as calcium salts, vitamin D, muscle relaxants, non-steroidal anti-inflammatory drugs, combined oral contraceptives, or oestrogens. When taking Bendroflumethiazide, two particular situations require immediate medical attention – allergy and blood disorders. An allergic reaction or hypersensitivity to Bendroflumethiazide is indicated by a red, flaking skin rash, photosensitivity (sensitivity to sun/artificial light), or fluid in or infection of the lungs. Blood disorders (changes in blood cell counts) are indicated by increased nose bleeds, bruising, pale skin, infections, fatigue, and breathlessness on activity. Other effects of this medicine include metabolic changes (worsening diabetes, reduced carbohydrate tolerance, worsening gout, increased blood uric acid levels, or altered blood fat levels), changes in blood chemical levels (low blood sodium, potassium, magnesium, or chloride levels, or high blood calcium levels), gastrointestinal problems (nausea, vomiting, stomach ache, diarrhoea, or constipation), pancreatitis, arrested bile movement in the liver, dizziness (particularly when standing up), and erectile problems.